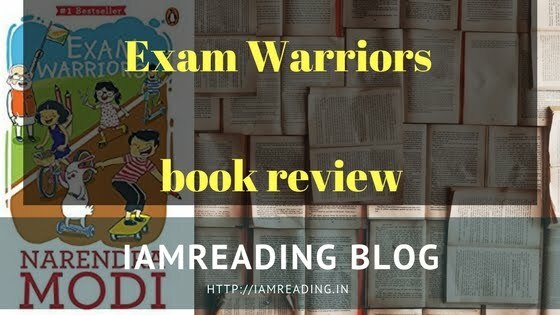 The book has been divided into two parts - one is about the background of Lal Bhatia's main concern and the second is about Lal Bhatia's life in the USA and his plight as someone was trapped into a plot. He also exposes how he was silenced when he tried to uncover a billion dollar money laundering scam for which he had extensive proofs. However, the government, the Federal Judges and even the FBI did not approve of his clear allegations and simply ignored the crime at large. Many book reviewers in India agree that this book is more about a crusade against the prevailing injustice in this unequal society. Indicting Goliath is about the philosophy as well as the practicality of justice. 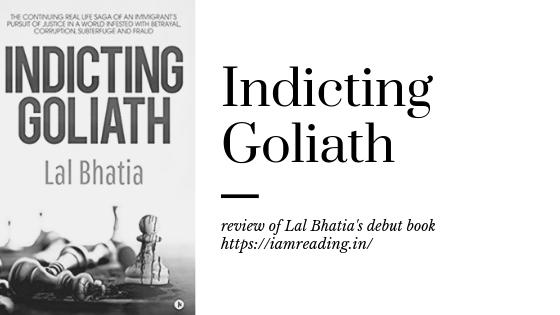 Lal Bhatia gives his readers a glimpse into the life of all such people who are betrayed by the very institutions which are meant to serve justice and uphold righteousness. He gives his stance on the involvement of FBI and even a few judges whose pockets were later warmed by the culprits of the money laundering scam. How can we desire or even think of justice when the Lords of the court are hand in glove with injustice, crime and subterfuge? Certainly not as entertaining as fiction can be, Indicting Goliath is still a book which can keep the readers' indulgence very high. The author has tried his best to make the story of his own life into an instance for the many people who have been fighting for justice alone. A few episodes are very interesting and readers can visualise the scenes if they try to imagine. The very idea of a single person fighting against evil is enough to arouse our interest in a book and this one offers the same!